Remember the patchouli clouds that lingered around hippies in the sixties? Yes, the flower children were tuned into something. Unlike modern perfumes that contain a mysterious hodgepodge of synthetic ingredients, natural fragrances such as patchouli stem from plant-based mixtures that go back thousands of years. In the 1980s, aromatherapy blends made with luxurious botanicals gained popularity as people learned of their health benefits. 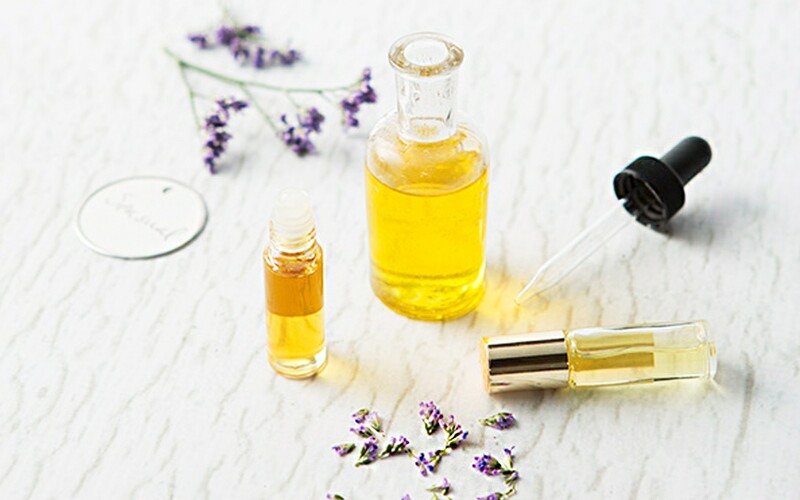 Studies show that natural essential oils not only positively affect emotions but also may offer antimicrobial and other healing properties, such as soothing aches and pains and relieving congestion. Today, aromatherapists are developing natural perfumes as an antidote to synthetic perfumes, which often contain potentially toxic phthalates, synthetic musks, or aroma chemicals, all of which accumulate in indoor air. Some synthetic chemicals, recognized as endocrine disruptors, wind up in the water supply, potentially harming wildlife. The takeaway: Switch to natural perfumes that contain only pure aromatics (think rose, vanilla, ginger) and are made with an undenatured alcohol or oil base for liquid perfume, or oil and beeswax for solid perfume. When shopping, look for labels stating that formulas are made with essential oils. If it just says “fragrance,” do more research; that term can signal synthetic chemicals. Feeling adventurous? Try these easy DIY fragrance recipes. Each recipe makes about 10 milliliters (one-third of an ounce). Scale it up or down once you find a blend you really love. Into a 10 ml bottle with a cap or a 50 ml beaker, pour 9 ml diluent: either 190-proof undenatured alcohol, or jojoba or almond oil. Choose your combination (see above). Add the base essential oil. If using a bottle, cap it and shake to distribute the oil throughout the diluent. If using a beaker, stir with a toothpick. Add the middle oil, distributing as above; repeat with the top oil. It’s best to let the perfume mature for a few weeks, but feel free to wear it immediately.